FlowStone is available from various distributors who make or sell electronics hardware and software. If you would like to buy FlowStone in combination with some hardware please contact the relevant distributor below. DSP Robotics has partnered with two other companies to create custom products that are built on FlowStone. FlowBotics Studio is a new robotics software development platform that we built for RobotShop. It includes many demo robotics projects and can be used to control just about any robotics platform, data acquisition board, motor controller, servo board, sound card, or webcam. RobotShop sells FlowBotics Studio with all its robotics hardware, including their new Servo Erector Set. FL Flowstone is a self-contained audio plugin construction tool that we created for Image Line. 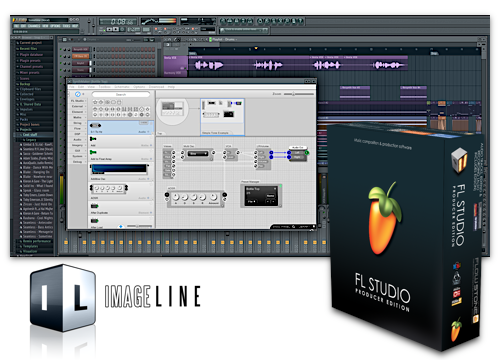 The software runs as a plugin within their incredibly popular Fl Studio digital audio workstation. Users can pick from a wide variety of pre-built synths and effects, all made using FL Flowstone. They can then take things to the next level and tweak these projects or create completely new ones of their owm.